Actually this message is misleading. This picture was taken at WEF, Switzerland and not in The UK. To start our investigation, we took a screenshot of this image and searched it on Google reverse image. In our search we found a news story filed on 24th January 2018 where this image was used. 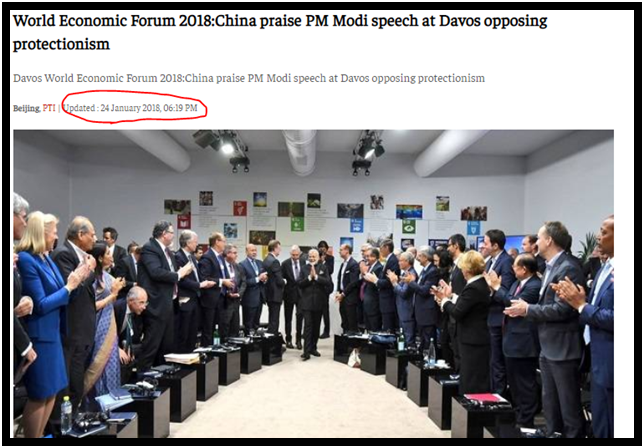 This picture is from the 2018 World Economic Forum in Davos, where Prime Minister Narendra Modi gave a speech. The World Economic Forum is a not-for-profit organisation. World Economic Forum organizes a conference every year in Davos in late January, in which more than two thousand businessmen and international political leaders, economists and celebrities participate. On January 23, 2018, Prime Minister Narendra Modi addressed the opening session of the World Economic Forum. Modi was the first Indian Prime Minister to do this in the last 20 years. Executive Chairman and founder of the World Economic Forum is Klaus Schwab. India is a member of several international groups, including the G20, SAARC and Commonwealth. In all these groups, the process of selection of the president is done in a democratic way where the chairman is appointed on the basis of vote. 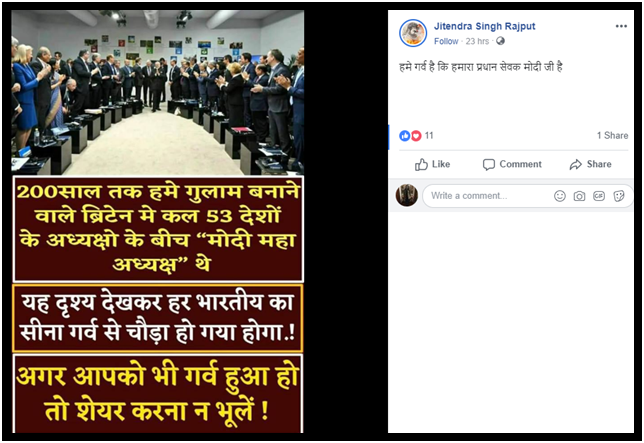 The viral post talks about 53 members. The only prominent international group with 53 members in Commonwealth of Nations. Both India and UK are the members of this group. It appears that the viral post is talking about this group. Let us tell you that the head of this organization is Queen Elizabeth II. Prime Minister Modi had attended the Commonwealth Heads of Government Meeting (CHOGM) in April 2018 but Queen Elizabeth II was the head of this group at that time. In this meeting, Prince Charles, son of Queen Elizabeth II, was approved to be appointed as the next head of this group. 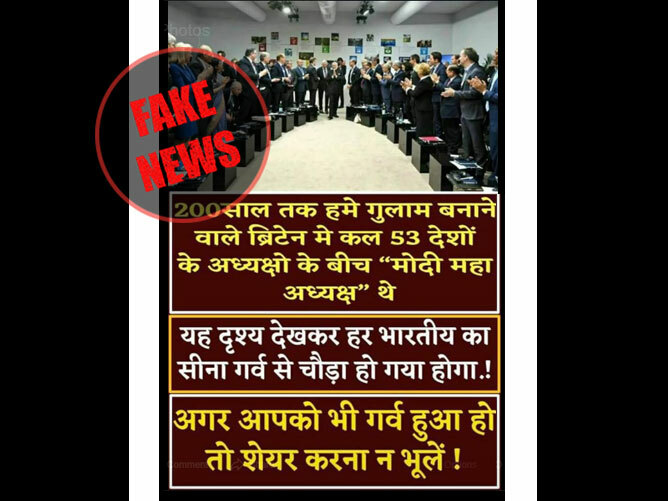 Conclusion: In our investigation we found that the viral picture is from 2018 Davos Summit and PM Modi was not chosen as the head of this group in this meeting.